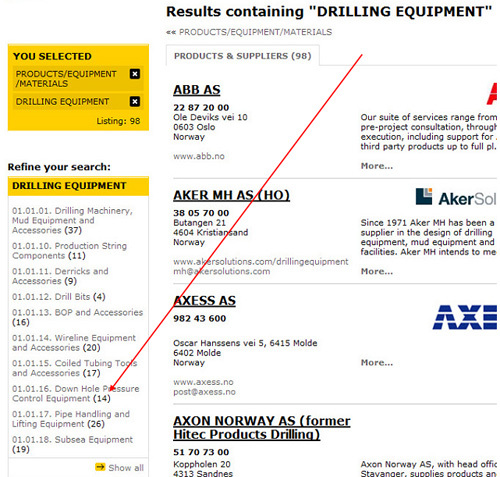 Search for companies or supplier of products using Offshore Norway’s search engine. We use Achilles’ professional categorisation system to make it easier for you to find your future business partner or supplier. 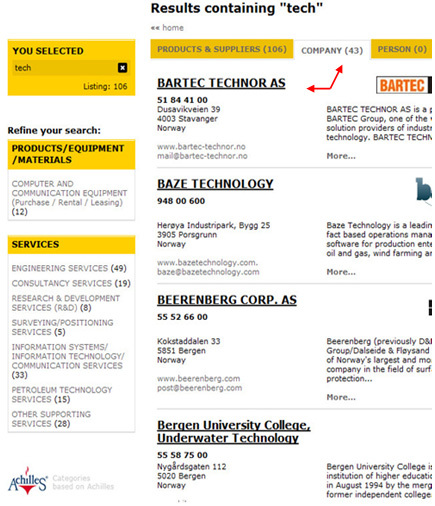 If you know the name of the company you are looking for, enter the name and click on Search or press Enter. If you cannot remember the full company name, a search for “Tech” for example will show all companies with the word “Tech” in their name. 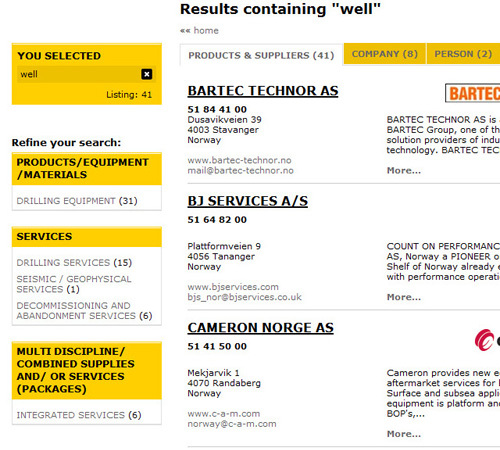 You can then use the menus on the left to find companies within specific sectors or product categories. 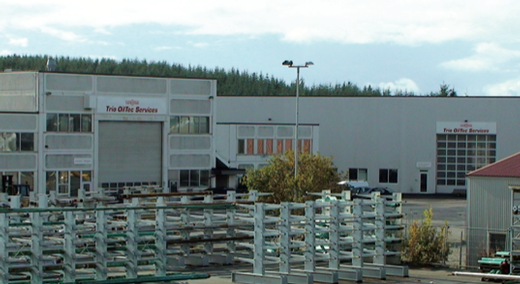 If you need suppliers of a particular product or service, you can use the search engine. Using the six categories on the front page, you can ‘drill down’ amongst all the different types of players within the Norwegian oil industry. If you select “Products”, you will bring up 41 sub-categories which will enable you to find suppliers and manufacturers of very specific products. If you select “Services”, you will bring up 17 sub-categories. 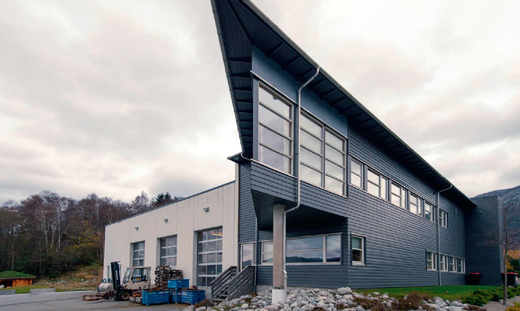 The most updated Oil & Gas register in Norway!